Let’s be honest, keyword research isn’t the most invigorating topic, but in terms of SEO, it’s still probably one of the most important. Fail to find and target the right keywords for your content and your audience won’t find you. Target the wrong keywords that bear no relation to the audience and your bounce rate will go through the roof – having a catastrophic effect on search rank. 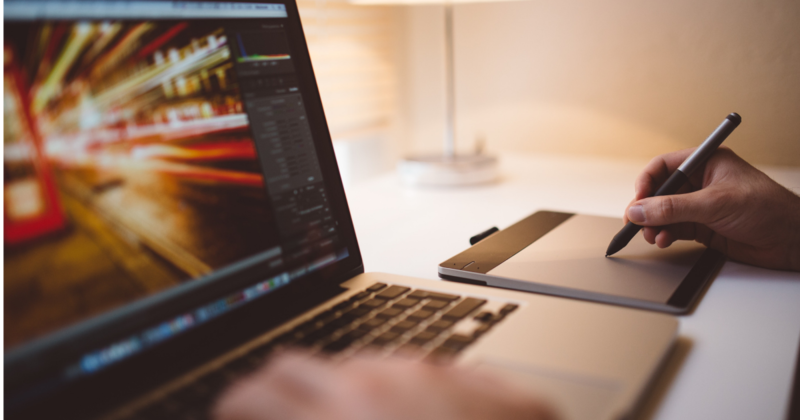 Your site’s age – This can affect difficulty to rank for a word or phrase. We’ll explain how to check. Where is your audience? 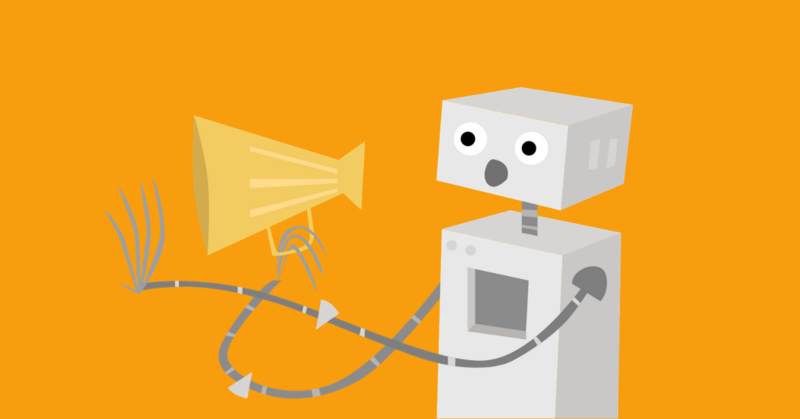 Are you targeting local or international audiences? Although this guide is a step by step approach, do remember that this can be adapted and you don’t necessarily have to do the steps in the same order. 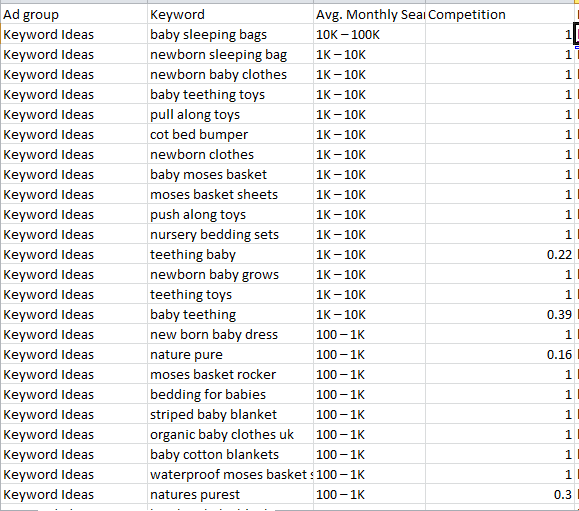 As the name suggests seed keywords are the foundations from which your list of keywords will grow. They are also a great way of structuring new sites or categorizing your keywords for existing sites. Establishing these is as easy as asking yourself; ‘why does this site exist/what is the purpose of the site?’ This is an important part of keyword research because what you are essentially doing here is explaining (succinctly) how you differ from your competitors and what you can offer your customers that others don’t. Think about the natural words that people would use to find your products online. Personally, I find the best way of doing this is to create an Excel spreadsheet. I use all of my seed words or category words (one per page on my site) to create individual tabs. 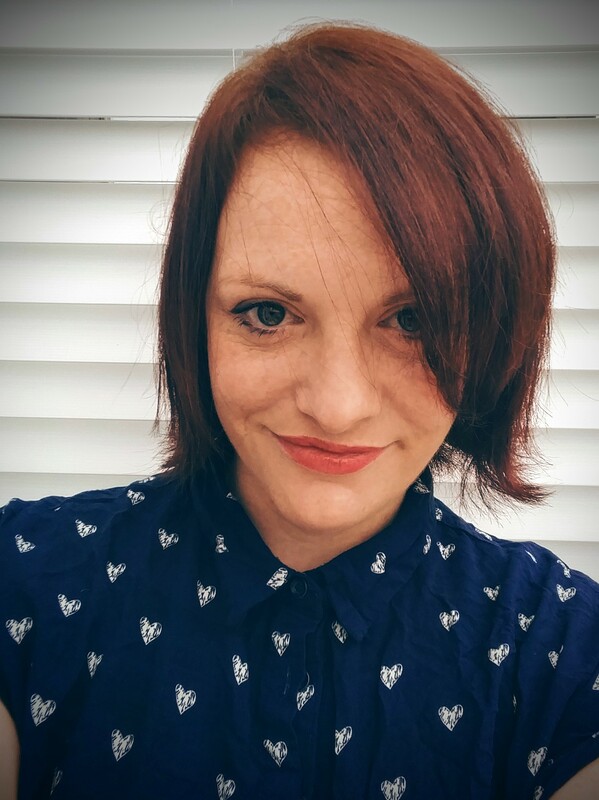 I also have a tab entitled ‘ALL’ – with a bunch all of my keywords – and tab I call ‘Blog Ideas’ (As you start researching keywords you will find words that you want to target but don’t yet have content for. This is where your blog ideas tab is really handy). So far, so good. Identify gap/opportunities – Looking into competitors’ search terms will also identify any words that you may not be ranking for. This is your chance to outrank them! Again, using Google AdWords’ Keyword Planner tool is great for this. 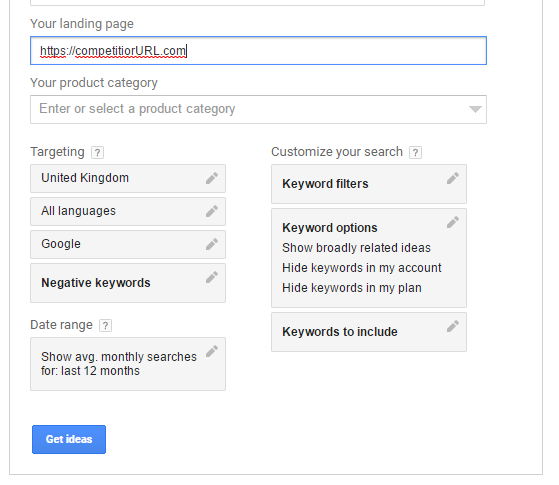 Select ‘Search for new keywords using a phrase, website or category’ and enter your competitor’s URL in the field marked ‘enter your URL’. Set the location under ‘targeting’ for more location specific data. Hit the ‘Get ideas’ button and hey presto – you have a good list of keywords. Repeat the process above with all of your main competitors. Now that you’ve got at least a good couple of hundred keywords you need to start refining your list to get rid of any keywords that are too difficult to rank for, don’t have a lot of search volume or simply don’t reflect the content on your site (or what you offer). Do this by sorting the data by ‘search volume’ (if you aren’t paying for campaigns this is just a data range – so it’s obviously not accurate) or by ‘competition’ as this will allow you to quickly remove any words that have a lot of competition. (you don’t have to remove all of the high competition words, only the ones that you don’t have any intention of going after wholeheartedly.) When data is exported competition is ranked between 0-1 range, 1 being the highest. I would also remove any mention of competitor brand names and remove words that have a low monthly search estimate. But, if these are words that you already have content for and would, therefore, be pretty easy to target you should delve deeper into the search volume, which we will show you how to do next. Copy the keywords you have left onto the correct tab of your spreadsheet. Now that you have an idea of which keywords you wish to target for each category you can go about putting these into some kind of priority. A great tool that I often use is KWFinder which can be used to determine keyword SEO difficulty. Take one of your keywords – preferably with high search volume but low competition. We’ll use ‘teething baby’ for this example. When I put the term into KWfinder it displays the SEO difficulty based on current pages appearing on page 1 in SERPs. This is calculated using data on Domain authority, page authority and Moz Ratings. 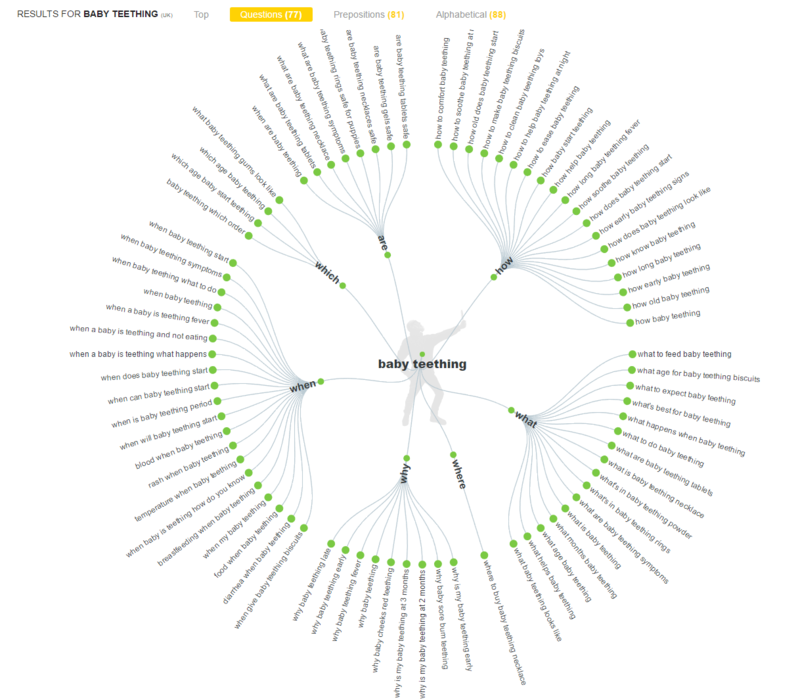 The tool also shows trends, precise monthly search volume and provides related search terms. Using KWFnder allowed me to see which pages were already appearing on page 1 and because most of the results were from major brands with high domain authority I’m now going to change tactic. The term ‘teething baby’ is a head term, meaning that it is a generic term and will, therefore, be difficult to rank highly for. 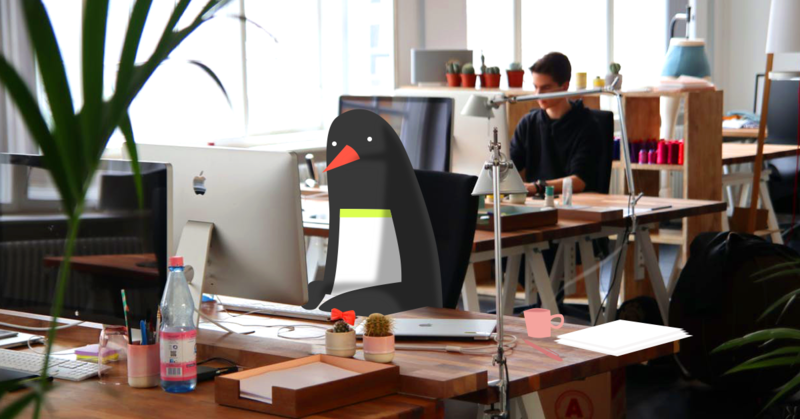 What we need to do is find out how to make the term more specific by turning into a long-tail keyword. Long-tail keywords are phrases typically consisting of 4 or more words. Although these normally have fewer monthly searches they allow you to be more targeted and generally have a higher conversion rate. Long-tail keywords are going to be your most beneficial approach. Not only do they have a higher CTR but they are also better at addressing search intent (which Google prefers) so it’s a win win situation. A great tool for finding such terms is answerthepublic. Let’s explore one of these categories further. 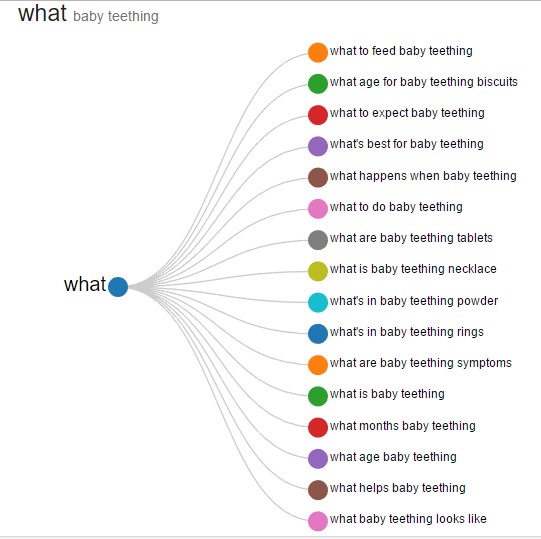 I took a look at the ‘what’ questions that people asked and because my hypothetical website sells teething necklaces I may wish to explore the term listed above ‘what is a baby teething necklace’. Providing it gets a good amount of search volume I now use this term on the product page or create a more detailed blog that will link to the product page. Remember how I told you to create a tab for blog ideas? This is why? Using a tool like Answerthepublic is a great way of establishing great blog ideas, so make a note of any topics that you can easily write about with authority. There is no universal approach to keyword research and it’s important to develop your own personal strategy. If you’re new to keyword research then hopefully we have provided some good foundations in showing you how to do keyword research step by step. Use this guide as a starting point and use a range of tools to interrogate the search terms you wish to use. Remember that keyword research is a continual process of monitoring and researching. Search behavior is constantly evolving so you will need to adapt to this and be ready to try out some new words/phrases.